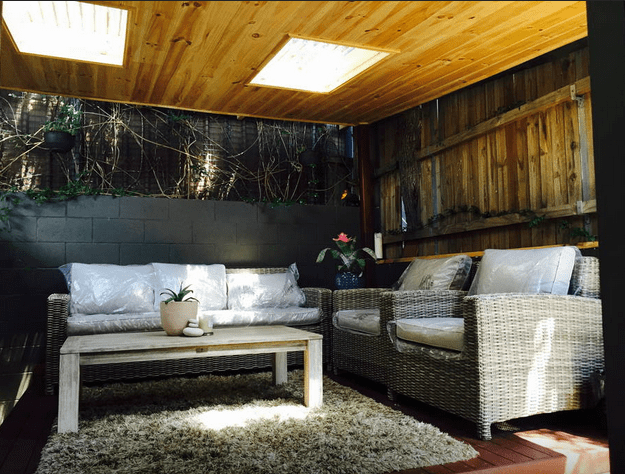 AirBnB: How it works and why I LOVE it! 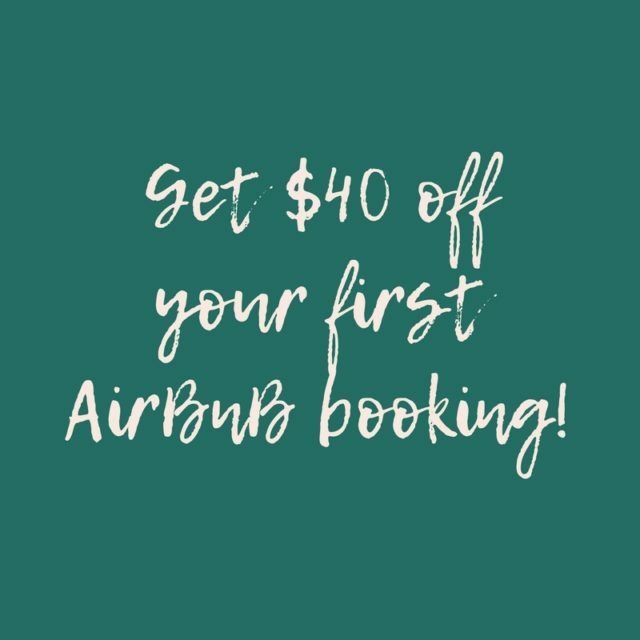 It’s about time I profess my love for AirBnb. During the planning stages of our Australia trip, Tyler & I stumbled across the website. For those of you who aren’t too familiar with the company, they allow people to list, find, and rent rooms, guest houses, and even entire houses to others all over the world. 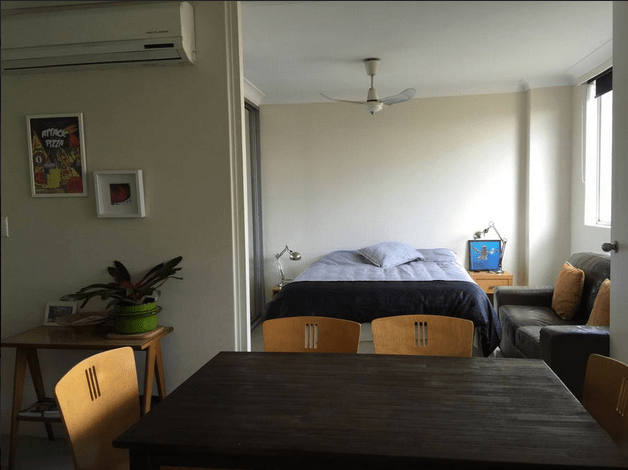 After staying in a hostel our first night in Sydney and well, not exactly being thrilled with the experience, we decided to give AirBnB a try – why the heck not, right?! After the first reservation, we were hooked. 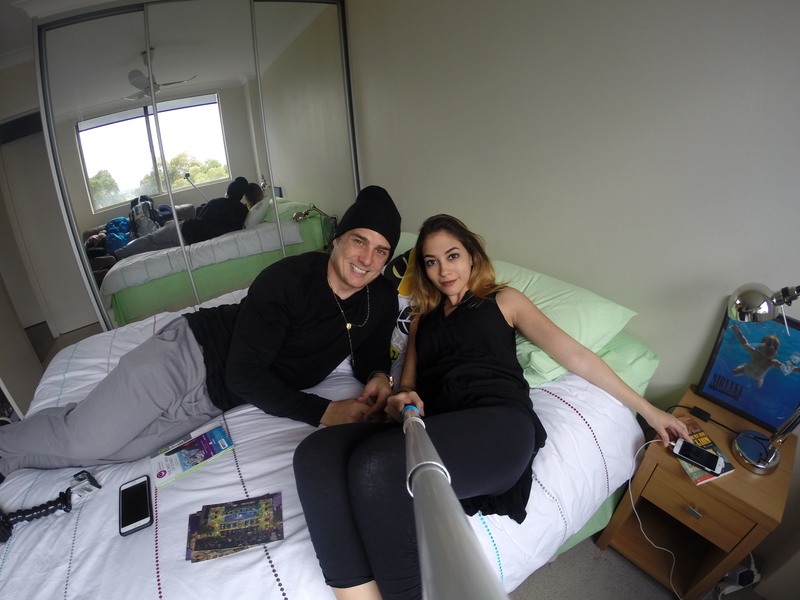 Our first place was a cozy studio apartment in a Sydney suburb, called Newtown. We ended up enjoying it so much that we extended our stay for a couple more nights. 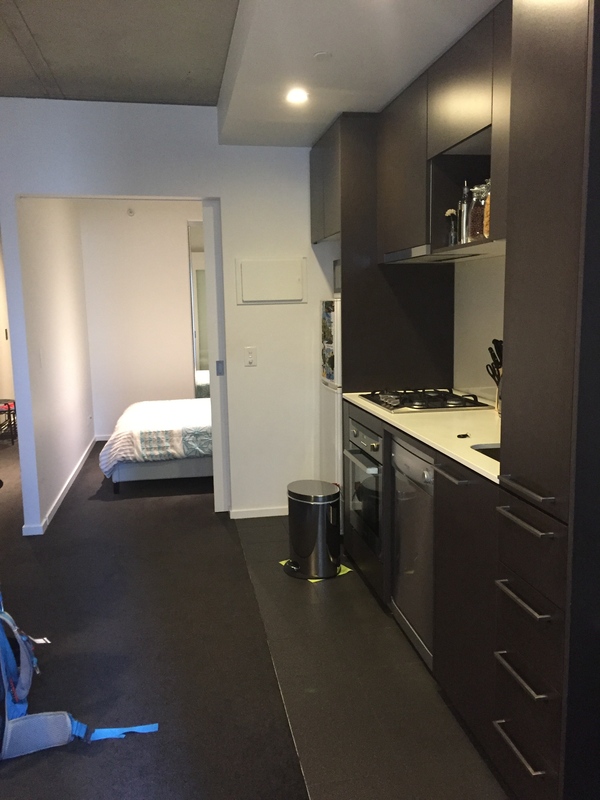 It had a balcony overlooking Sydney’s gorgeous CBD, and came complete with every amenity you could ever need; TV, full kitchen, queen sized bed, a washing machine, you name it. I think the selling point for us, however, had to be having a bathroom that wasn’t communal! The apartment complex was gated so we felt very safe, and it was within walking distance of bus stops, amazing cafes, restaurants, and shops. Per night, the place costed $115 AUD (or $87.20 USD), but we also had a $20 credit from a fellow traveler, so only ended up having to pay about $72 USD after it was all said and done. Not a bad deal, if I do say so myself! Next stop: Balmain, another one of Sydney’s beautiful suburbs. I’m going to go ahead & say that this was my favorite accommodation of the bunch. It was a little different than the others, in that it was an extension of a single family home. There was separate access via a walkway around the back of the house, and they even built a little outdoor patio that connected, so it was more like a one-bedroom suite than anything. The young couple who owned the property recently had a baby who was keeping them very busy, so they left us completely to ourselves; I don’t think we saw them more than once. They sure knew how to create a beautiful space for others and treat their guests well, though! I mean, come on, how cute is this place?! I recall videoing this one for my Snapchat friends, if you guys remember that one 😉 So many thoughtful little trimmings too…Nespresso machine, bowls of fresh fruit, stocked mini snack bar, Wifi. It was a short walking distance from the ferry to Circular Quay, and you could see Sydney harbour from across the water, which was a big plus. 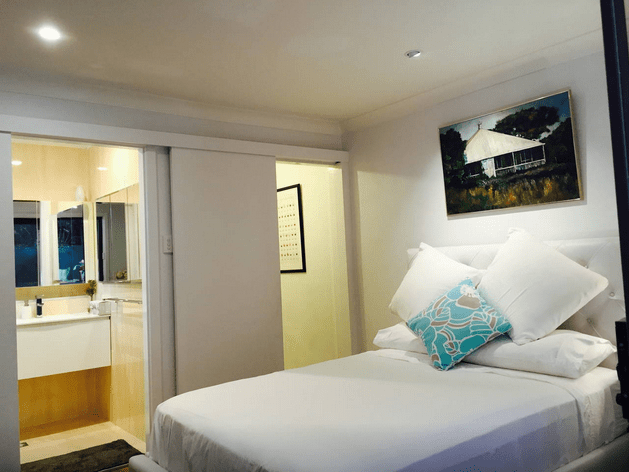 But wait, it gets better – $75 USD a night! If I ever find myself back that way again, I will definitely be contacting these hosts for another stay. Here’s our place in Melbourne! Quaint, clean, and adorable. Smack-dab in the middle of the CBD too, so being amongst the hustle and bustle was a nice bonus. Our host gave us a ton of fantastic suggestions of things to do and places to go within the city, for which we were so grateful. I loved this apartment so much as well. As for the other handful of apartments we rented, it seems that the listings have since been taken down from the website, so I’m not able to get the pictures of those, unfortunately, but I adored each and every one. I must say, we really lucked out. All in all, we totally and completely enjoyed our overall experience with AirBnB. Renting ended up being significantly less expensive per night than booking for two people in a shared hostel room, so that was a no brainer. But aside from the perk of the cost, it provided us with the opportunity to spend time and chat with locals that we wouldn’t have met otherwise. That personal human touch was so different from a hotel; a nice change of pace, really. Our last host in Brisbane was even kind enough to pick us up from the airport and drive us over to the place. She claimed she “had a weakness for Americans” LOL! Definitely not part of the gig, so we were very appreciative of that. Booking through them allowed us to explore less-known areas of the major cities that turned out to be really quite charming and lively. If I had to go back and do it all over again, I wouldn’t change a single thing. Always remember – be safe and informed when booking. Read past reviews and communicate thoroughly with the people that you are booking from, especially if you’ll be sharing a space with them! I hope that you enjoy yourselves as much as we did! Happy travels! Next Post Goals for 2017. In 2015, I went from a corporate 9-5er to working entirely from WiFi and have been living the Laptop Lifestyle ever since! 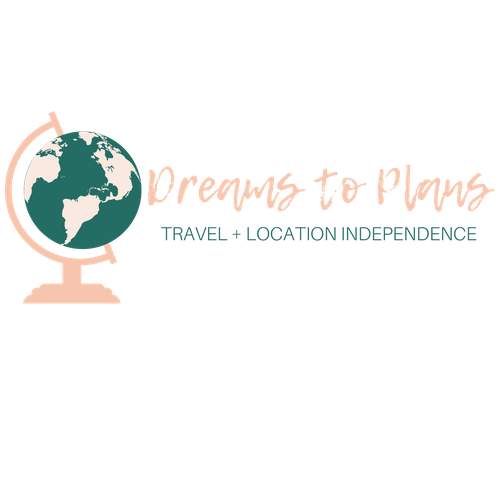 Join me as I turn all of my wildest dreams into plans one day (and plane ticket) at a time!